Rolls-Royce wins a prestigious 'Ship of the Year' industry award for its new wave-piercing ship design for PSV 'Far Solitaire'. The Far Solitaire, a UT 754 WP platform supply vessel for the offshore oil and gas industry, has been named Skipsrevyen 'Ship of the Year' at the SMM marine industry trade show in Hamburg, Germany. Far Solitaire is the third Rolls-Royce designed vessel to win this award in the past five years, and is the first to feature the new Rolls-Royce wave piercing bow, a striking design which, by cutting through waves rather than riding over them, reduces fuel consumption and greatly improves crew comfort and safety. The ship is designed specifically for the safe transportation of hazardous chemicals and waste products to and from oil and gas platforms. 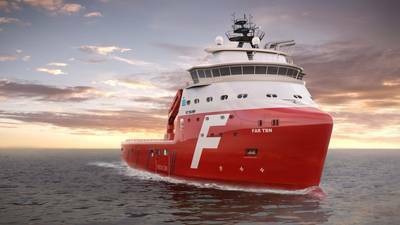 It will enter service in the North Sea with Farstad Shipping, in October. The ship is equipped with a Rolls-Royce propulsion system, including main engines, azipull thrusters and a Dynamic Positioning system which uses satellite technology to enable the ship to automatically hold position, even in rough seas. 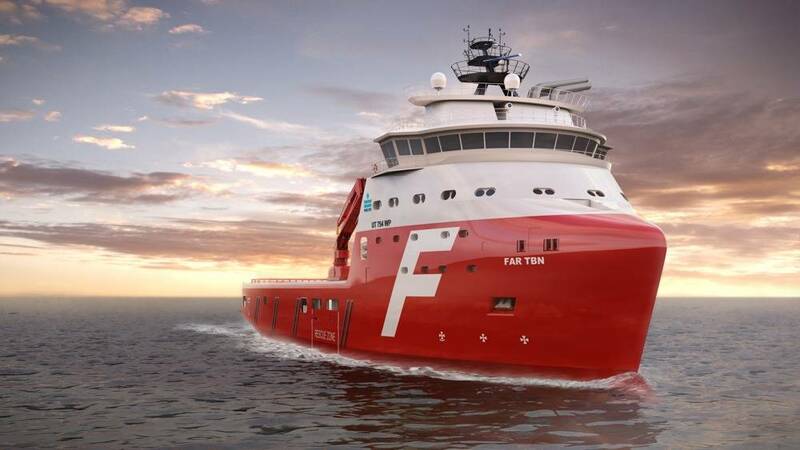 Tony Wood, Rolls-Royce, President – Marine, said: "We are delighted to have won this award, and look forward to seeing the Far Solitaire enter service with Farstad in the coming weeks." Around 700 Rolls-Royce designed UT vessels are either in service or under construction around the world.